Part-III focuses on the need for discipline in all activities of the SSSO. Bhagawan gives the example of the sapling and the fence to illustrate the need for discipline on the spiritual path. He emphasizes the need for a uniform code of conduct for all members of the SSSO. Bhagawan touches upon few aspects where He has observed the violation of such discipline and cautions the concerned members to rectify the same. The four audio extracts in this posting are taken from the Discourses delivered by Bhagawan in the years 1975 and 1980. 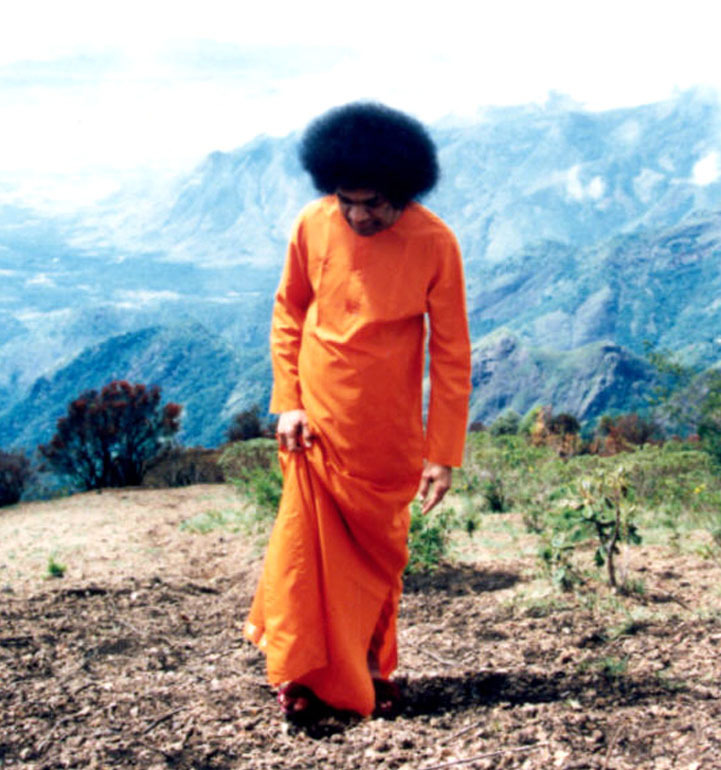 In Clip-1, Bhagawan explains the significance of following discipline on the spiritual path. 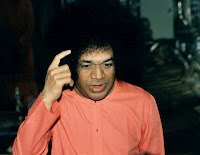 He says that until one becomes a Sarva Sangha Parityagi, one needs to follow discipline, just as a small sapling needs a fencing for protection, until it becomes a big tree. Clip-2 stresses on the need for a uniform code of discipline for members of the SSSO across all nations. Clip-3 and Clip-4 specifically focus on one aspect of discipline, which is about ladies and gents being seated separately during Bhajans, meetings and conferences. Bhagawan comes down heavily on this issue and makes His stance very clear - Either follow the discipline or do not be part of the Organization. Today, we have decided to accept certain regulations and discipline for the Sathya Sai Organization. Why do we need all such controls and regulations? Many enquire whether such regulations are necessary even on the spiritual path. A small example to illustrate this point: A plant would not grow just by watering it. It is necessary to protect it by building a fence around it, thus preventing any damage to it by animals. Once the plant becomes a tree, we would not need any fence. In the same way, we have planted the sapling of our spirituality in us. There are so many forces in this world which try to attack it. In order to protect (this sapling), we will have to have some regulations in the form of a fence. When it grows fully and bears fruits, we would not need any of these regulations. By that time you would be a total Sarva Sangha Parityagi (total renunciant). But before becoming a Sarva Sangha Parityagi, if you do not practice this discipline, you will make no progress. Here, we consider all as brothers and sisters. In the Sri Sathya Sai Organization, we are practising with faith, specifically, the discipline of the brotherhood of man and the fatherhood of God. Therefore, be it America or Germany or Japan or Russia, he remains your brother only. But in the name of brother, brother (brotherhood), we cannot have a separate rule for America, a separate rule for Japan and a separate rule for Russia. All Sai brothers (members of the Sai Organization) must follow the same path. A small example to illustrate the point: In Bharath, in sacred Prasanthi Nilayam, men and women are seated separately; and in such conferences, each one goes about doing her/his own work and discharging her/his own duty. This is the tradition in the Sai organizations. In the same way, so many of you have come from America, South Africa, Germany, Italy, etc. This same discipline has to be observed even in your own respective countries. However, this is not happening in many countries. Men and women are mixing with each other; they are behaving in an indecent manner, getting up (and moving out) in the midst (of meetings), entering in the midst (of meetings) and so on. Such practices can have nothing to do with Sai Organizations. 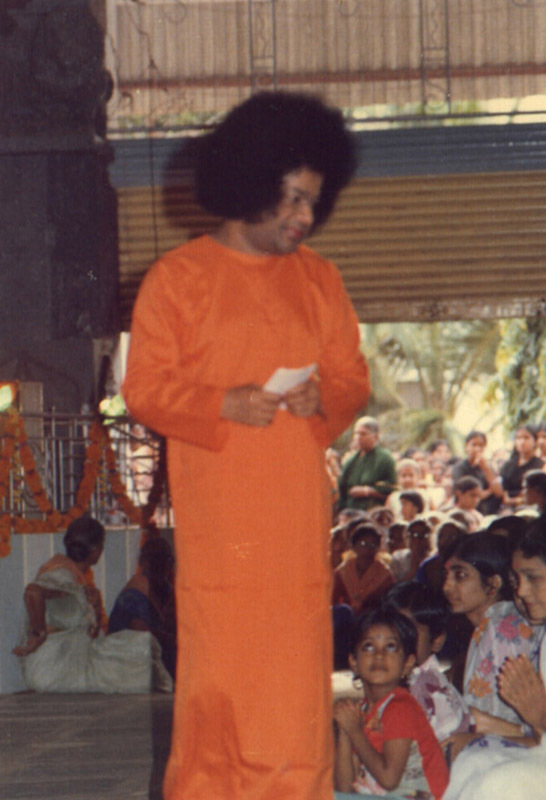 Those using the name of Sathya Sai Organization must primarily follow the ideals of Sathya Sai. Those who feel that in their nations, they cannot move around without men and women mixing, they need not follow the ideals of Sai Organizations and we too do not need such Centres. 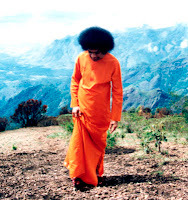 Rather than sitting with purity and peace and thinking about God for some time - at least for some 10 minutes, without any connection to the sense organs; those who wish to engage in actions that excite their senses have no place in the Sai Organizations. I wish that the Westerners and even the office bearers who have come here (for the Conference), must sincerely put in an effort to practice this discipline from tomorrow itself. Some Westerners argue “We men and women sit together (in a mixed manner and not separately) and sing Bhajans; it is not possible for us, men and women to sit separately; this is our tradition; this has been our culture right from the beginning”. But this culture has to be changed. Only when it is changed, you will become devotees. If you keep saying, it is our culture, our culture, then you will never become devotees any day. Be it Westerners or the Bharatiyas, we have to sacrifice some of our past practices and unnecessary traditions. This is the spiritual path. Chanchalam Hi Manah Krishna Pramaathi Balavad Dridham (Gita 6:34 - O Krishna, this mind is restless, stubborn and strong). The courageous and heroic Arjuna himself says that he cannot control his mind. Therefore, the mind is like a mad monkey. To control this mind we have to practice very rigorously some type of discipline. 01-What according to Bhagawan is the need for discipline in the form of rules and regulations, in a spiritual Organization? 02-What according to Bhagawan, is the reason for ladies and gents to be seated separately in Bhajans and other congregations of the SSSO? 03-What is the meaning of the verse “Chanchalam Hi Manah Krishna Pramaathi Balavad Dridham” from the Gita? In what context does Bhagawan quote this verse?